What’s better than a berry good recipe? How about a rasp-berry good recipe! Today, let’s mix up the ever seasonal raspberry with the Café’s traditional green tea, throwing in a banana or two, adding in some honey, and then finally blending it all together to create our tantalizing Raspberry Green Tea Smoothie. You’ll be making this recipe all summer long so make sure you have enough raspberries and Green Tea to last you until the end of August! 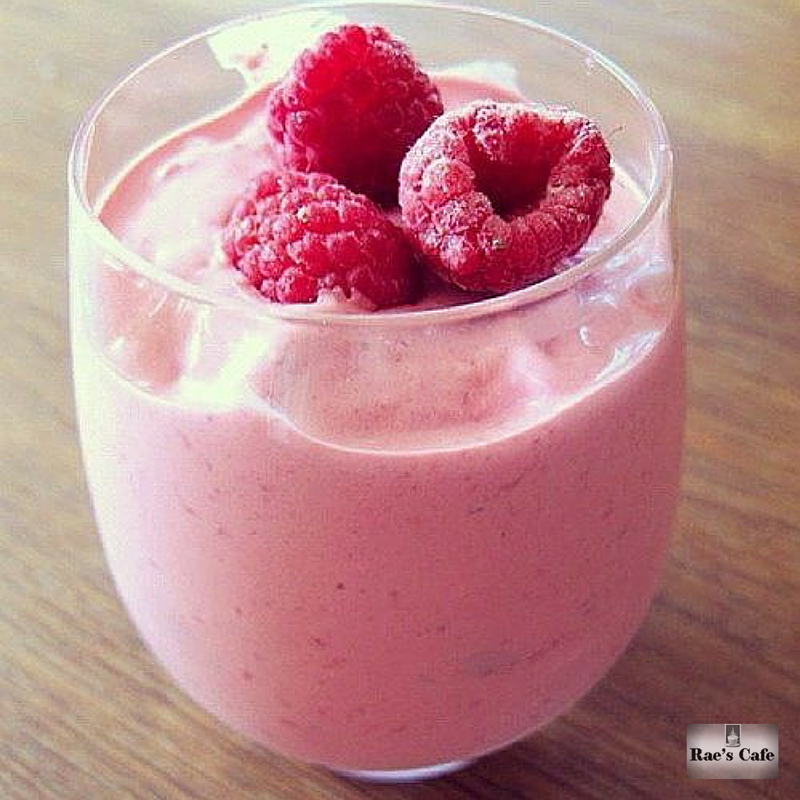 1.Place all of the ingredients in a blender and blend until smooth. 2.Enjoy and share a picture with us! TIP: To prevent the honey or agave sticking to your tablespoon, use the vanilla extract or plain water (if using vanilla bean) so the spoon is wet. The honey or agave will slide right off!